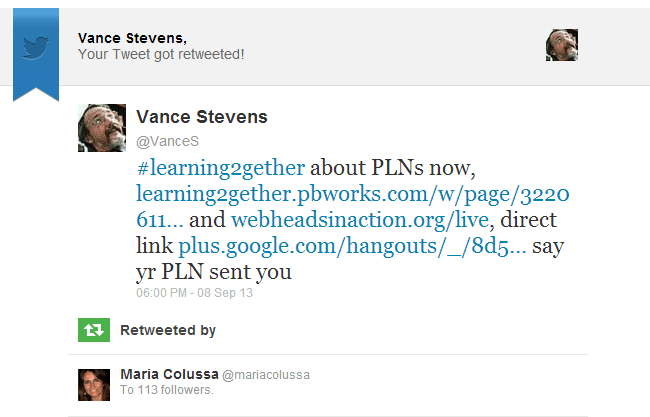 PLN Show and Tell: What does your PLN look like? How do you manage it, and why? 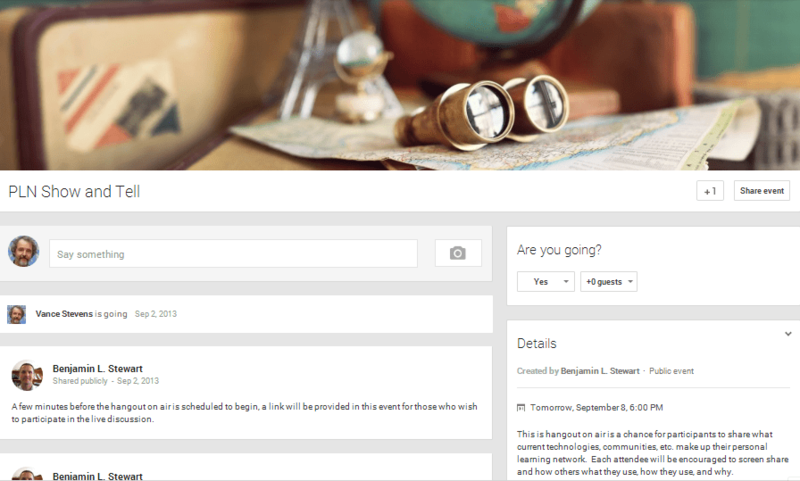 In Hangout: What does your PLN currently look like? How do you manage it, and why? so you can attend the conference in the OSCC viewer, which you must also download. « Learning2gether with Benjamin Stewart (TILL, Teachers for Interactive Language Learning): What new technique, strategy, web tool, etc. do you plan on implementing this year?